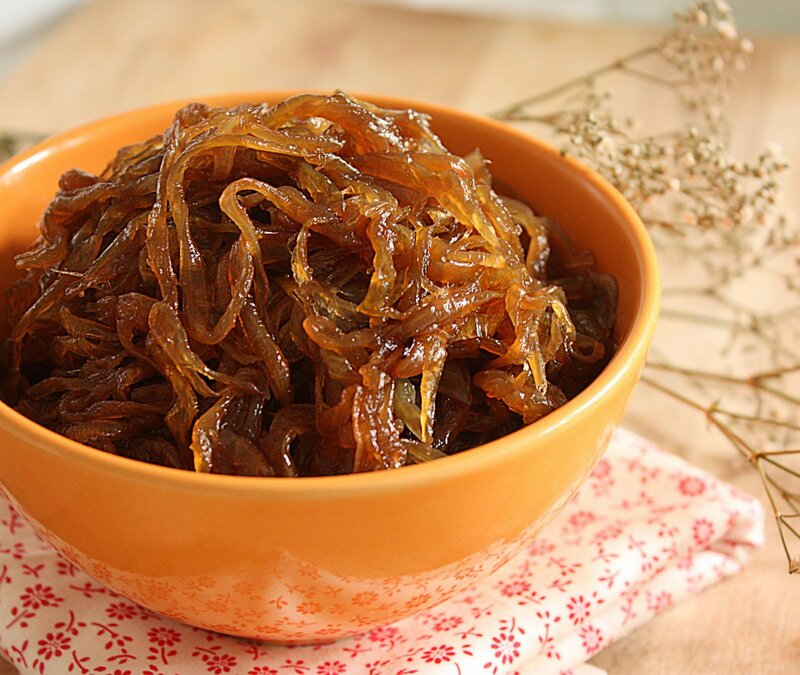 Come summertime, Onion Marmalade is a condiment that I use in many dishes. My Seriously Simple motto is seek out maximum flavor and spend minimum time in the kitchen. Even though it takes some time to cook this, you will have it on hand for a variety of different dishes. It can take the place of traditional sauces like ketchup or mustard or can be an extra layer of flavor in a sauce or dip. There is lots of room for you to personalize this flavor enhancer. Feel free to add a few sprigs of rosemary or thyme. You can also choose your favorite onion varieties like Maui, yellow or red onions. Use port, beer or red wine instead of the balsamic and wine. (Just keep the same proportions in the recipe.) Add shredded Belgian endive or fennel for a slightly bittersweet flavor. I like throwing in pitted and finely chopped black or green olives to add an earthy taste. You can keep this for a month in your refrigerator. Use as a filling in omelets, frittatas and in dips. Add to cooked vegetables like green beans, spinach, broccoli or cauliflower. Use as a topping on pizza or bread. This recipe may be doubled or tripled. Make sure to use a larger deep casserole to accommodate the larger amount of onions. Heat oil in large non-aluminum casserole on medium high heat. Add the onions and saute for about 12 to15 minutes or until well softened. Stir frequently. Add the wine, balsamic vinegar and sugar to the onions and simmer on low heat until almost all of the liquid has evaporated and the onions are very tender and caramelized into a deep golden brown, about 30 minutes. Watch carefully towards the end to avoid burning the onions. Add the salt and pepper. Taste for seasoning. Cool and serve at room temperature. Advance Preparation: May be prepared up to a month ahead, covered in an airtight container and refrigerated.